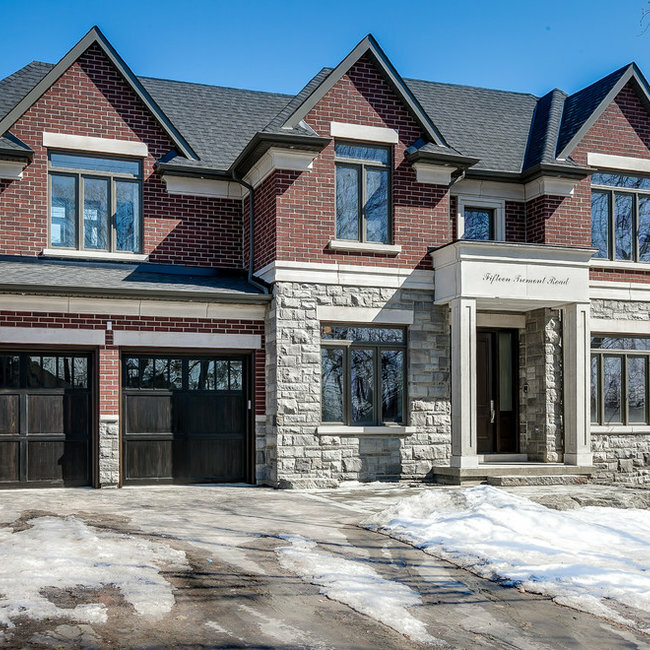 4700 square foot contemporary-meets-classic custom home for a family of six just north of Toronto. 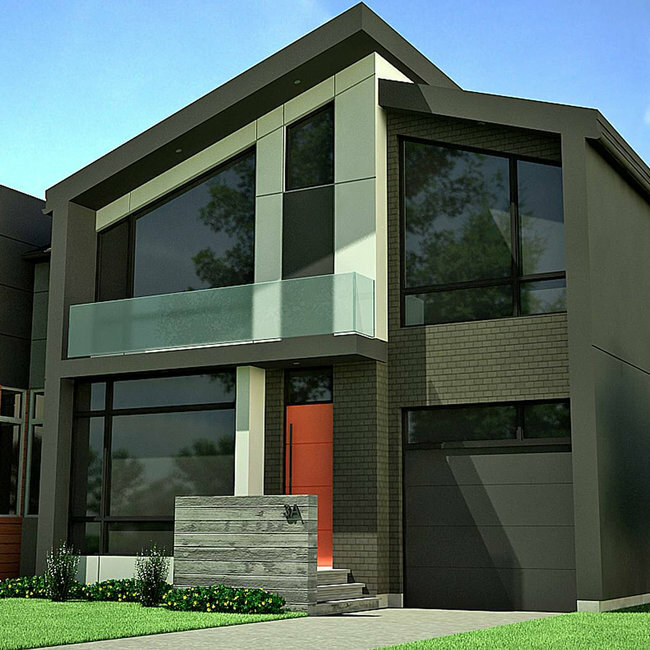 Features include: Modern finishes throughout, Nanawall systems with ravine views. Also includes multilevel decking system and a second floor balcony, custom twenty-foot galley kitchen, and ten-foot ceilings on main floor. Coach House style 3 car garage with separate nanny/in-law suite above it. Three Storey Mansion full gut renovation. In the heart of the Annex, this early 20th century mansion, has been brought back to its original use. 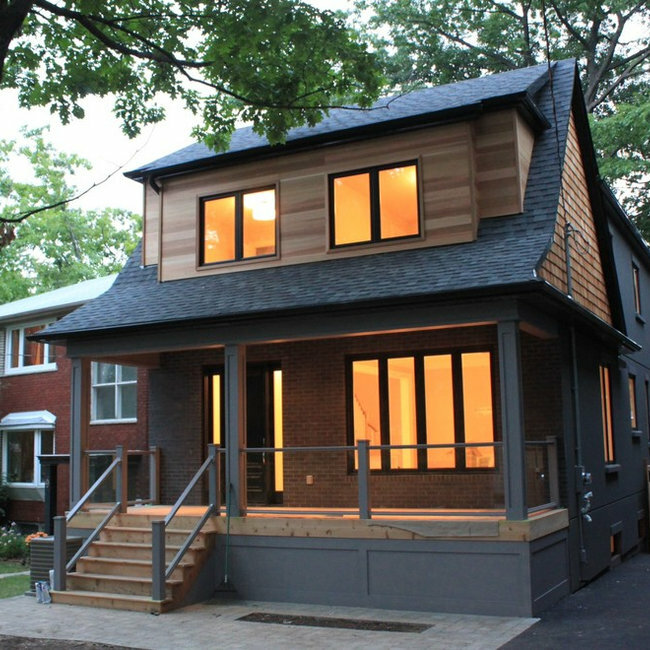 This existing rooming house has been turned back into a single family residence. 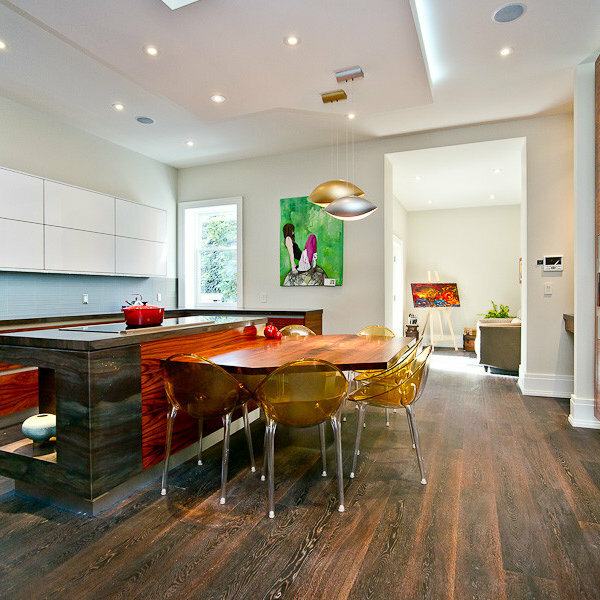 A full gut reno with a second storey addition transformed a sleepy bungalow into a stunning contemporary family home. It now features four bedrooms, modern finishes, high ceilings, finished basement, covered deck and porch for entertaining. 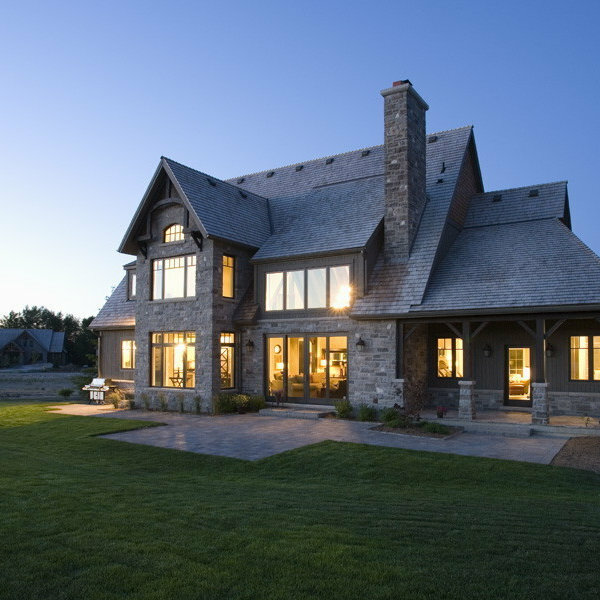 Situated on a Private Golf Club, this spectacular custom cottage boasts a two and a half car garage - just enough space for 2 cars and a golf cart. Other features of this 3900 square foot cottage include beautiful views from second floor panorama room, open concept family great room. Very successful project, and satisfied family. Looking for more projects like this one. 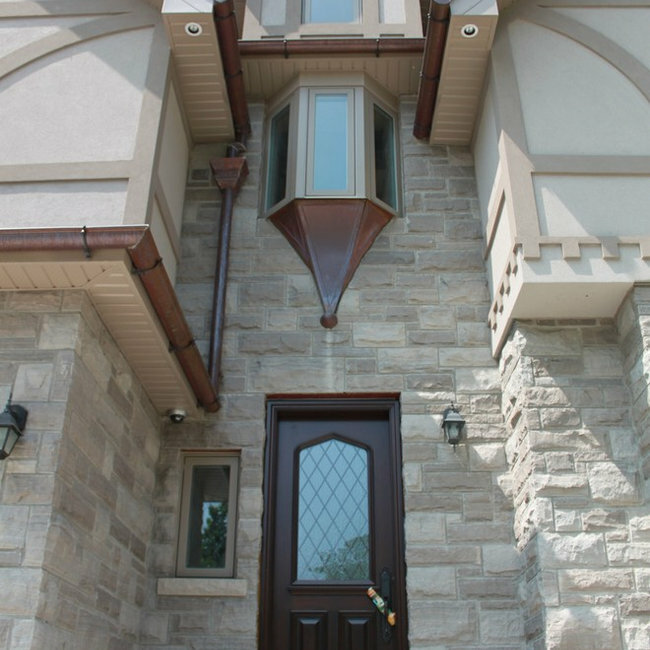 Set in prestigious Etobicoke neighbourhood, just south of the Kingsway, this 3600 square foot custom family home features warm Tudor Style details, ten foot ceilings and connected family room and kitchen. 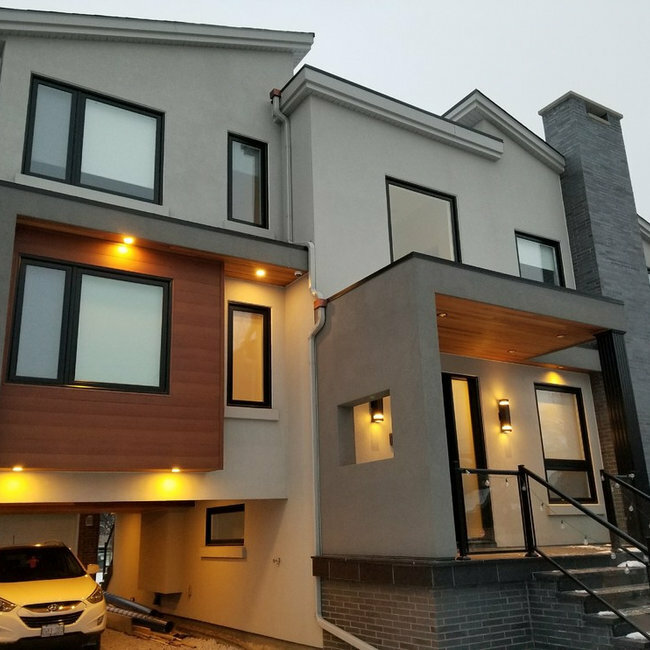 New two storey detached home with double car garage. Perfect marriage between family style, and formal living. 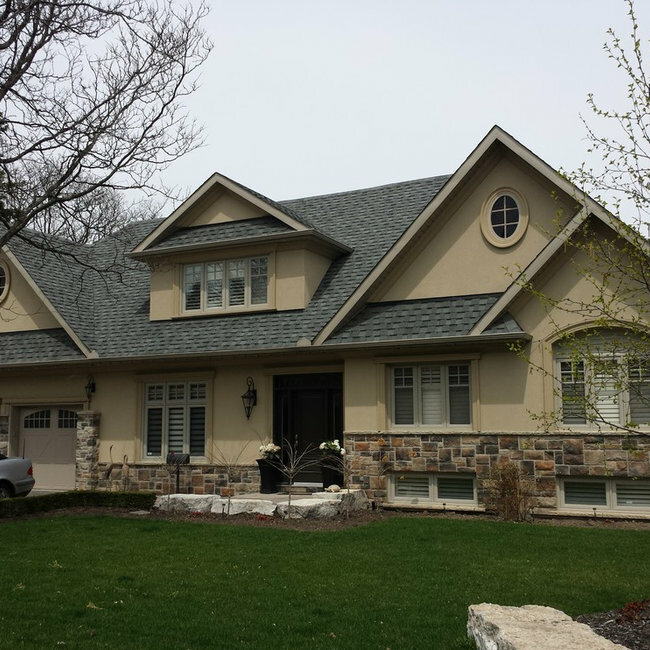 Custom designed 4900 square foot gem tucked away on a three acre private lot that borders on a ravine in rural Ajax. 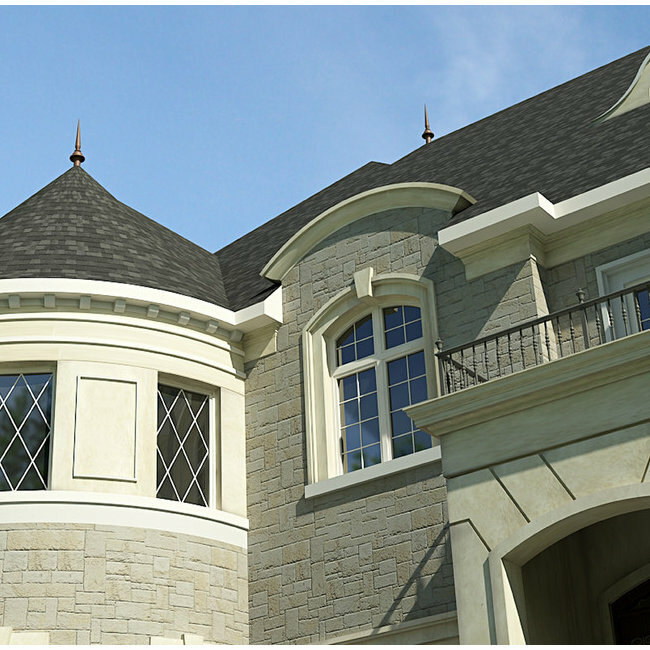 Finishes include limestone, natural stone, stucco, wrought iron and copper all help to emphasize the French-inspired architecture. Features three-car garage, eyebrow windows, turret, four bedrooms, covered verandah, and large family room with 14 foot vaulted ceiling. Major addition and renovation project to an existing North York Bungalow. Features an in law sweet, and two split levels. Main feature of this home is the main cantilevered staircase. A master piece.